With the most romantic holiday of the year right around the corner, we at Talkin’ Trash have beds on the brain. Granted, the beds in question do not have a sleep number, pillowtop or memory foam, but they are really, really good when you’re not feeling so well. You see, we’re getting new beds for our patients. They spend a whole lot of time in them so it’s nice to have an upgrade. That means around 150 still-good hospital beds from Princess Margaret Cancer Centre and Toronto General Hospital need to find a new home. As we’ve mentioned in Dynamic Duo: Operation Green and Not Just Tourists, it’s way better to re-use something than to recycle or throw it out. Even better … help a community that could really use a break. As communities needing a break go, you’d be hard pressed to find a more worthy candidate than Liberia (a laundry list of Why includes Ebola, Malaria, TB, HIV, 85% poverty and the aftermath of civil wars). For a little silver lining, guess where these 150 beds are heading? 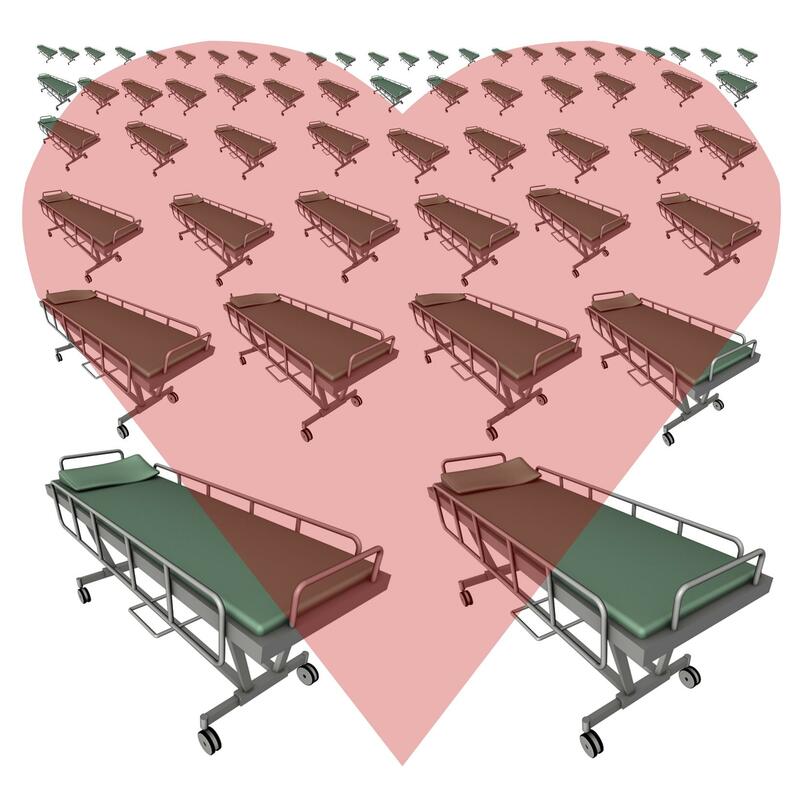 It’s a lovely idea, but needs solid logistics to make it happen: when the new beds arrive, the existing beds need to be moved out of UHN, stored, shipped, and transported to their final destination. This takes muscle, motivation, moxie and means. A surgery mission team was in Tappita, Liberia last spring, conducting the first neurosurgery and spine mission in the country’s history, when the Ebola crisis hit … Dr. Francis Kateh (Jackson F. Doe Referral Hospital) is leading the medical intervention to end Ebola and visited Vancouver in the summertime. His plea for medical equipment, beds and supplies touched our hearts. 1,000 beds were requested by the Liberian Information Minister and KBNF began to pursue fulfilling that request immediately. When I was at Tappita Hospital, a 4 yr old 250 bed hospital in eastern Liberia, except for 4 beds, their beds were vastly without side rails or any moving parts. This is in one of their elite hospitals. So you can imagine how afraid patients would be that they could fall off the bed. KBNF will work with their shipping partners, Compassionate Resource Warehouse (Victoria) & Crossroads Communications (Brampton), to warehouse the beds before departure. As of next week, instead of landfill or scrap metal recycling, our 150 UHN beds will get a new lease on life in West Africa. We sincerely hope they help the Liberian patients rest well, recover and get a new lease on life too. With that, we can all sleep soundly. This entry was posted in Beyond Talkin' Trash and tagged corporate social responsibility, medical supplies, Operation Green, reuse. Bookmark the permalink. Great post Lisa … and a fabulous story about helping others with these beds that have outlived their usefulness in Toronto. Way to go!!! Thanks Kent! We’re pretty happy about it. Ed worked really hard to find a good home and it’s mission accomplished. Interesting article Lisa. Although I never saw it that way, gotta say you are right!